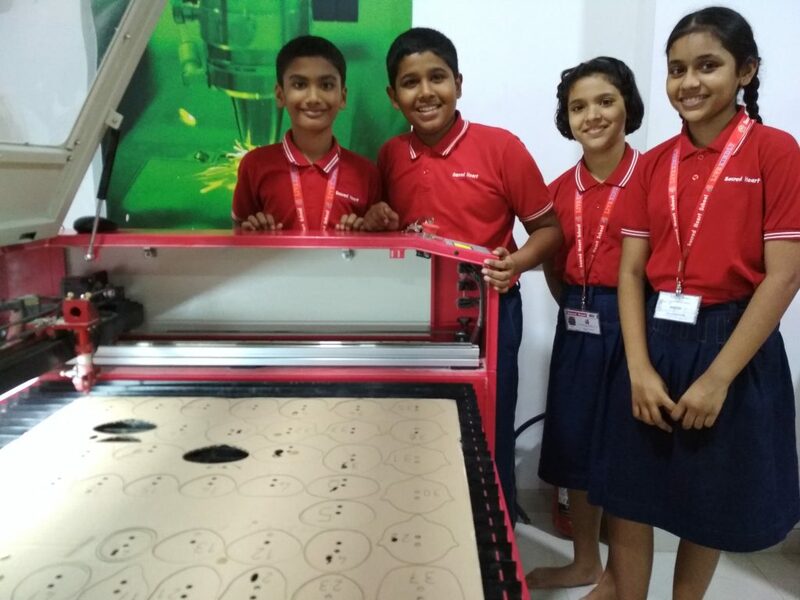 While most people aren’t aware of what CNC is – while students of Sacred Heart are masters in crafting delicately designed beautiful pieces, using our state of the art CNC Laser Crafting Machines. CNC Laser Crafting Machining is a process used in the manufacturing sector that involves the use of computers to control machine tools. Tools that can be controlled in this manner include lathes, mills, routers and grinders. The CNC in CNC Laser Crafting Machine stands for Computer Numerical Control. Sacred Heartians are trained under CNC Laser Crafting Machine, control tools and its function through numerical control. A computer program is customized for the desired design and the machines are programmed with CNC Laser Crafting machining language (called G-code) that essentially controls all features like feed rate, coordination, location and speeds. 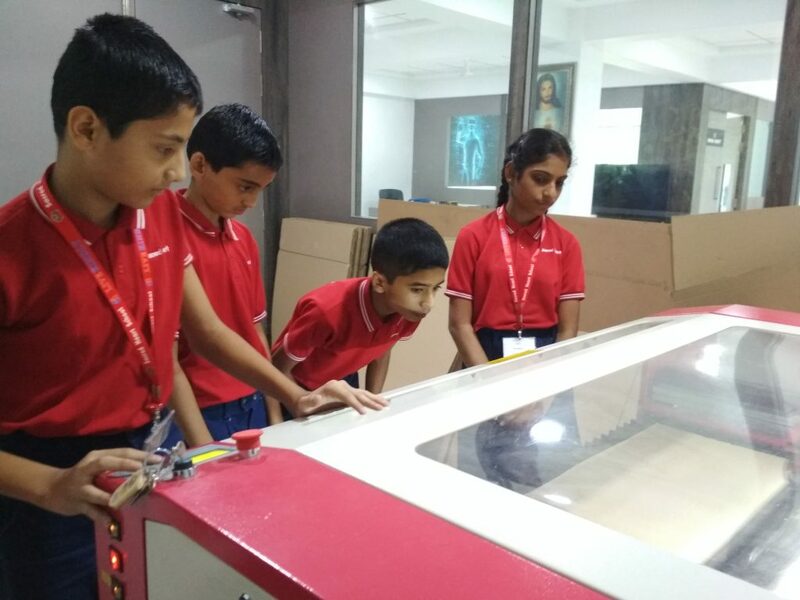 With CNC Laser Crafting Machine, students also learn how the computer can control exact positioning and velocity. CNC machining is used in manufacturing a variety of artifacts on vinyl, corrugated sheet and mdf. Students first create a CAD drawing in (either 2D or 3D), and then a code is created that the CNC Laser Crafting Machine machine will understand. The program is loaded and finally a student runs a test of the program to ensure there are no problems. This trial run is referred to as “Test Area” and it is an important step because any mistake with speed and tool position could result in a scraped part or a damaged machine. There are many advantages to students using CNC Laser Crafting Machine. The process is more precise than manual machining, and can be repeated in exactly the same manner over and over again. Because of the precision possible with CNC Laser Crafting Machining, students fabricate complex shapes that would be almost impossible to achieve with manual machining. CNC Laser Crafting Machining is used in the production of many complex three-dimensional shapes. It is because of these skills acquired that students learn to deliver a high level of precision on very repetitive tasks. 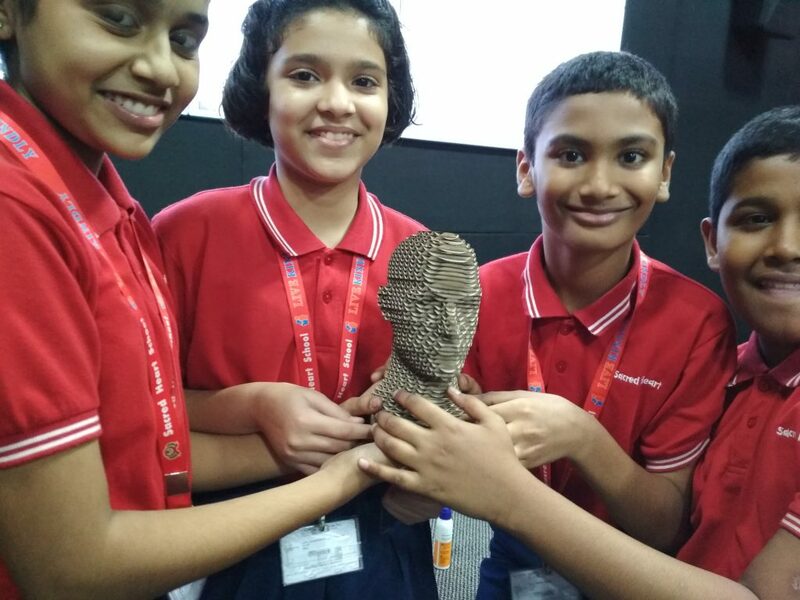 Sacred Heart School aims to expose students to digital fabrication laboratories such that they get opportunities to explore versatile designs along with scientific content. These programs help students to understand the relation between pedagogical methods in engineering laboratories and digital fabrication labs, Thus enabling skills required for the future of mankind.